The Romance Dish: Marvelous Mirabelle! As many of you know, I have a soft spot for a particularly good Harlequin SuperRomance. And today, I have THREE particularly good Supers to talk about. I first discovered Helen Brenna courtesy of FROM THE OUTSIDE, part of the Nascar series. Racing cars aren't really my thing but tortured Argentinian racing driver Roberto Castillo was certainly my thing (if only!). I immediately realized I'd encountered a writer who could write convincing, heart-wrenching emotion and create memorable characters who were so real, they haunted my mind long after I closed the book. Since then, I've bought every book Helen's published and as luck would have it, most of those books were part of a lovely series called "An Island to Remember". So far, there have been seven books set on the fictional island of Mirabelle in Lake Superior. The island is largely reliant on tourism and has beautiful summers and harsh winters. One of the great things about returning to Mirabelle is that the reader gets a wonderful sense of community and a chance to find out how beloved characters from former stories have moved on with their lives. The most recent three entries in the series were released back to back in July, August and September this year and are still readily available through online sources. It was wonderful having such a feast of Helen Brennas to keep me awake at night. The first, THE PURSUIT OF JESSE, is a story of rising above the mistakes of the past to forge a new and more fulfilling life (actually I think that describes most of these Mirabelle stories - it's such a profound theme and it can be worked out in many ways). Both Sarah Marshik, the island's wedding planner, and Jesse Taylor, brother to the island's sheriff Garrett, have a lot to forgive themselves for and both are convinced they're unworthy of love. But the magic of the island and a once-in-a-lifetime attraction work together to change their minds - after a lot of turbulent emotion, a few false starts and a great deal of courage. The second, HER SURE THING, was one of my favorites of the series. Supermodel Grace Andersen left Mirabelle as a rebellious teenager and now returns after an accident that has brought her modelling career to an abrupt end. She's hurt and bitter and coming to terms with the fact that all her adult relationships have been superficial, including that with her ex-husband. This would seem the worst time to fall in love, especially with the island's doctor, Sean Griffin. Everybody in Mirabelle loves Sean. Everybody on Mirabelle thinks Grace is nothing but trouble. Yet these two people, on the surface ill-matched, can't keep away from one another. Again, another wonderful story of healing and hope. The last book I'm talking about today is REDEMPTION AT MIRABELLE. The redemption theme that is so deeply ingrained in these stories is blatant here in the title. It would probably be my favorite of these three books I'm talking about today. It's just a magical read! Helen Brenna does a wonderful brooding, wounded hero (another favorite is reclusive writer Jamis Quinn from THEN CAME BABY earlier in the series). Adam Harding comes to Mirabelle with his two young children to help the islanders rebuild after a tornado devastates the area. He's a man who's been on the run emotionally and physically from his wife's tragic suicide and he has no intention of settling down any time soon. Marin Camden is on the run too, from her unfulfilling life as an executive in New York. From the first she's attracted to Adam, but she's a woman who plans on a childless future, and Adam's world revolves around his children. Watching these two damaged, wary people maneuver their way to love is enormously touching and reminds me again just how beautifully Helen Brenna writes emotional growth. So are you a Helen Brenna fan? Do you have a favorite series of books where the setting keeps drawing you back for more? What's your favorite redemption romance? More fabulous books to read! When will I get the time? But a love a good Superromance. Haven't you read Helen, Keziah? I'm surprised. She strikes me as someone you'd like. Thanks for swinging by. And watch out for those bushfires! Eli, I really like the Supers. Nice meaty stories. Check them out if you get a chance! I'm so surprised I have not read any books by Helen Brenna. I think I must. Mary, she's a fairly recent discovery for me too. She won the RWA RITA Award (like the romance Oscar) last year so she's definitely one to watch. Actually just looked her up - she's won TWO RITAs! Pretty spectacular. Helen's books are wonderful - I was so excited to see that you were blogging about them today. I love Mirabelle Island! Great post, Anna! I'm a fan! 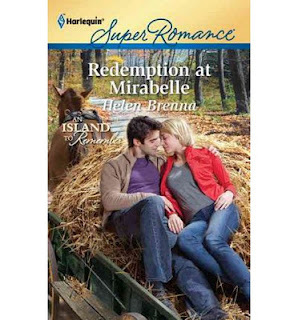 Helen Brenna is one of my favorite Super authors and Mirabelle Island is a wonderful place to visit. I have other favorite places too but I'm running short of time right now. I'll post again when I get home from work! Great post Anna! Unfortunately, I have never read Helen Brenna's books before, but based on your recommendation, will definitely have to check it out! As for series with settings that bring me back, I think all of Nora's books/series (Born In, Ardmore, the Irish Silhouette books) that take place in Ireland or characters with Irish heritage would fit the bill. The land becomes a character in its own right, and Nora's love for the land and its people shine through the pages. I have not read any of her books either, so many authors, so little time! I will have to add another to my ever growing TBB list. Anna, Helen was a guest blogger at Squawk Radio before her first book was released. I thought Treasure sounded interesting when she talked about it and have been reading her books ever since. (Treasure won her first Rita.) I love the Mirabelle books. Then Comes Baby is my favorite too. There are so many places I love to visit--Robyn Carr's Virgin River, Susan Wiggs's Avalon, Emily March's Eternity Springs, Jodi Thomas's Harmony, Toni Blake's Destiny, Curtiss Ann Matlock's Valentine . . . And I'm rally looking forward to three visits to Lisa Kleypas's Friday Harbor in 2012, especially after a year without a new LK book. Anna, you have me blushing - truly - again! What did I do to deserve you? Thanks so much for the wonderful reviews ... glad you've enjoyed Mirabelle! I love Harlequin romance novels. So warm, cozy and satisfying. To date, I have been unfamiliar with Helen's books, but I am so happy to learn about her and will certainly put these books on my Read List. Thanks for sharing. Not only do I love Helen's writing -- I love Helen! And you too Anna. The first Helen Brenna book I read was: Dad For Life -- talk about a tortured hero. Stunning. Her characters are real people w/o the boring bits. You feel as if you know them. So glad you're writing about her Mirabelle Island Super Romances! I can always count on you to introduce a new-to-me author. I *think* I may have a Helen Brenna in one of my TBR boxes, lol! I will dig it out ASAP, I esp. love the sounds of Mirabelle, I love stories of damaged people finding each other, and I love brooding heroes! Besides yours Anna, I would say the Devil in Winter by Lsa Kleypas, I love a reformed rake! I have read her books before ant they are really good. She is one of my favorite Super arthors. Wow, Laurie, that's a great list! I can see you definitely like the small town romances! I really love redemption stories (I think most of mine fall into that category too). Becke, Redemption at the moment seems to be the last of the series, although I'm sure I saw somewhere that she's talking about revisiting Mirabelle sometime. I hope she does. It's a magical place! Oh, PJ, not the dreaded day job! Glad you're another fan. I love how these books make me laugh and cry - they really generate an emotional response. Lisa, those Irish books were the first Noras I ever read and I loved them, especially the first one about the girl who goes over to the cottage and becomes a writer. Beautifully done. I haven't read Lisa's contemps (although I've heard great things about them). I love her historicals. Oh, Dianna, I'm so glad I've got to introduce a new and wonderful author to you all. As you say, there are so many books out there, it really helps if you've got someone to recommend a writer. I know word of mouth is still my strongest recommendation for trying something new. Give Helen's books a go, I think they're wonderful! By the way, Helen came on the Romance Bandits as my guest back in August for the release of HER SURE THING. 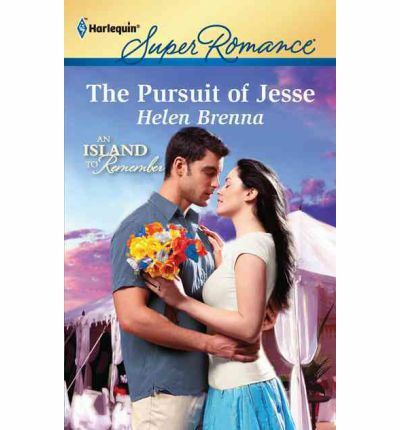 Here's the interview: http://romancebandits.com/island-magic-with-helen-brenna/ It's a nice introduction to her writing world. Janga, I've got Treasure waiting for me as a reward for getting my wip in in a couple of weeks. Can't wait. As I said, the minute I picked up From the Outside, I knew this was a special writer. Then Comes Baby reminds me a bit of one of my favorite Kathleen O'Reillys, Long Summer Nights, which also features a reclusive writer who finds love. Have you read that? Great list of series books, by the way! Connie, I was put off Supers for a long time because the covers were a bit too jolly looking (don't know what that says about me!). All those people cooing over babies! But I've adored some of the stories I've read in the imprint and the extra length means they can get into some really meaty conflicts and themes. Glad I've introduced you to Helen - if you like Supers, I suspect you'll really like these too. Hey, Amy, long time between drinks! Hope we get to see each other before too much longer. You're so much fun! Thanks for swinging by. That's a beautiful way to put it - they really ARE like real people. And I think that's one of the reason I love going back to Mirabelle. As with real-life friends, I like checking back to see what's happening. Dad for Life is actually with Treasure. I'm going to have a Brennathon once I get the new book in. Karyn, Devil in Winter is a great redemption story, isn't it? And I LOVE that title. Whenever I see it, I get serious title envy. Definitely give Helen a go. I think you'll be extremely impressed! By the way, each story does stand alone so don't worry if you haven't read them in order. I started in the middle and moved in both directions from there and everything made perfect sense. Hey, Virginia, cool you're another fan. They really are lovely stories, aren't they? I've enjoyed the books of Helen's that I have read. Chey, great to meet another fan. I love doing these reviews - I get to talk about books I love with people who already know them and introduce great books to people who might have overlooked a wonderful author. Win, win! I don't think I've read Helens books yet, and I love series like this. I just finished the first three books in Susan Mallery's Fool's Gold series & enjoyed them very much. Ooh, Di, sounds like these are right up your alley. Give them a go! I have not yet read any of her books. I checked her backlist and didn't recognize any. I'll be looking for them now and will check them out. I have read two authors that keep calling me back, but they are Harlequin Intrigues not Super Romances. One is Debra Webb's Colby series headquartered in Chicago and the other Julie Miller's books set in Kansas City. The character of the place does add to the books. Sandra, I'm always sorry when I finish a Mirabelle book that I can't go there. It always sounds so charming, particularly in the summer with the flowers and the horsedrawn carriages. Sigh. Pat, this will make you laugh. I think I've only ever read two or three Intrigues in my whole life. I've got a couple on the TBR pile that a friend of mine lent me, telling me they're great stories. Must dig them out and read them. Definitely recommend Helen's books! Thanks so much to the Dishes and everyone who swung by today to say hello. Delighted I've managed to get a great author onto so many radars! My work is done! LOL! See you next month!